Do you want to put your creative writing skills as well as your analytical and business skills to the test? Would you like to gain deep marketing experience, especially in social media and PPC? Are you looking for challenging, interesting and varied work with a high level of responsibility? And if you want to experience a dynamic tech start-up environment, then the Marketing Internship position at TidyChoice is perfect for you. At TidyChoice we offer challenging work, responsibility and flexibility. The terms (start, end and conditions) of the job are flexible and can be adapted to the schedule and needs of the candidate, should the candidate be ideal for this position. We pay interns on an enhanced expense basis to cover travelling and daily expenses. Additional payment will be considered if the candidate has previous experience relevant to the position. This post is suitable for undergraduates or graduates seeking meaningful commercial experience to enhance their career prospects. 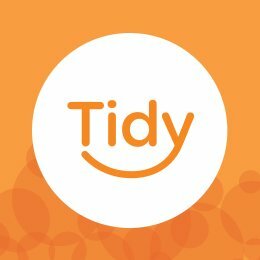 TidyChoice is a dynamic start-up. We will revolutionise the way people find trusted help for their homes. We are a lifeline for help at home. Our website and mobile app allow customers to easily book available professionals for domestic services. Professionals market their services and use our tool to manage their time. We are the AirBnB of home help with Amazon's customer service.